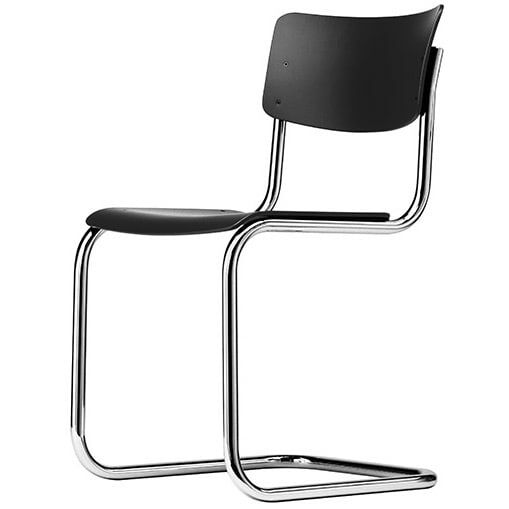 Elegant, very comfortable cantilever in the version without armrests. Steel tubing classic S 43 cantilever chair, seat and back in natural beech plywood or for ex. stained black, chrome frame. Matching cantilever armchair S 43 f in beech stained black, chrome frame. Parkhaus wool felt seat pads for cantilever chair S 43 F are available in our shop. Do you have a question about "S 43 / S 43 F"? How can we contact you?